This comfortable seat is great for both adults and children. 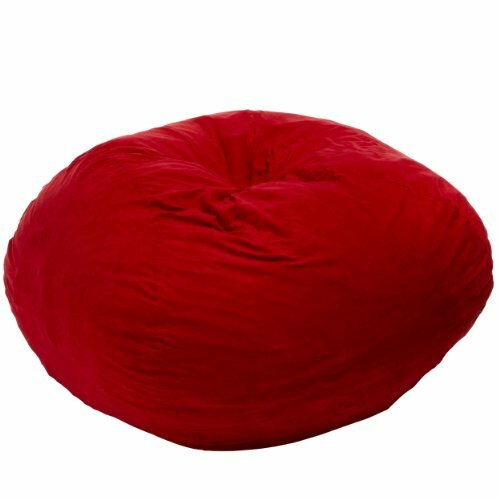 This lounge chair is a child safe bean bag chair filled with a combination of long-lasting polystyrene beans for durability as well as soft and supple foam. 1 cubic foot is filled to 75 percent capacity for a plush, comfortable seat without being overstuffed. It is comfortable, easy to move and designed to keep you elevated above the floor surface at all times. It is child safe and perfect for bedrooms, family and game rooms and home theater rooms. This lounge chair has a microfiber suede cover that is double-stitched with hidden seams and a safety double zipper to keep your child out of harms way. Trademarked. If you have any questions about this product by Heavy Metal, contact us by completing and submitting the form below. If you are looking for a specif part number, please include it with your message.